Al Omari mosque was named in honor of al Khalifa "Umar ibn al-Khattab", this mosque was initially a Crusader church, originally the Crusader Cathedral of St. John (1113 - 1115 A.D.), the building was transformed into the city's Grand Mosque by the Mamlukes in 1291. 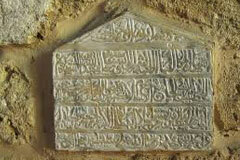 The mosque's interior sandstone walls are decorated in Mamluk and Ottoman inscriptions. Inside the mosque, a golden steel cage, a gift from Sultan Abdul Hamid II to Beirut, encircles a shrine for John the Baptist. Three hairs from prophet Muhammad were preserved in the southwestern side of the mosque; they were presented to the mosque by Sultan Abd ell mejid I. 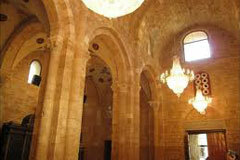 The Mosque underwent several restorations by the General Directory of Awqaf and the Tourism Ministry, specifically in 1952 and 1949. 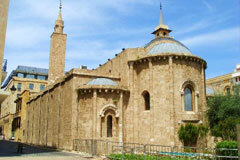 It sustained severe damages in the Lebanese Civil War, During the reconstruction of the Beirut Central District, the mosque was renovated and enlarged to its current area.